Doing explosive movements are all the rage and for good reason. Doing multiple sets of high intensity, explosive movements really help develop your fast-twitch fibers. People who enjoy more athletic pursuits over pure bodybuilding tend to lean towards doing explosive movements such as football players or basketball players. This type of training can pay off in a big way during the game to improve your overall level of performance. That is not to say this workout won’t benefit a bodybuilder, because it will. But it has a different goal of increasing the aerobic capabilities of those fast-twitch fibers. 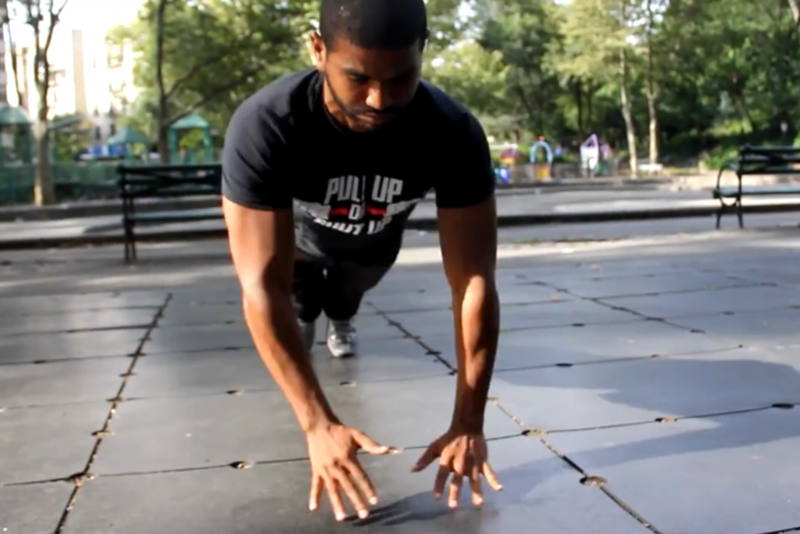 This is a down and dirty workout that can be done anywhere. While it might seem simple and perhaps easy, make sure you try it before passing judgment. Honestly it might take a little more than 30 minutes but calling it a 34-minute workout doesn’t have the same ring to it. For each exercise rest 30 to 45 seconds between sets. While people might think they understand how to do each one of these exercises, we will review proper form just for clarity and to point out a few specifics to focus on. 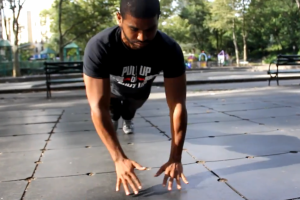 Explosive Pushups – Assume a push-up position with feet at shoulder-width. The back, glutes, and abs should be tight and flexed the entire time to keep the body flat and rigid. Go down smoothly and touch your nose to ground. Push the floor away with your arms, shoulders, and chest to explode up as fast as possible. You should launch your body up high enough (flexed abs and flat pack) that your hands come a few inches off the ground. Gently catch yourself and then go down slowly again. Jumping Squats – Stand with your feet shoulder-width apart and arms hanging at your sides. Squat down and back slowly making sure to drop your glutes first and lowering until your thighs are parallel to the ground. Keep your core tight and back flat. Explode up pushing through your heels and launching yourself straight up while using your arms to reach up as high as possible. Extend your legs straight as you reach maximum height. Land softly and then immediately start back down slowly. The explosion and speed are key to this workout. On the early sets even if you think you can do more repetitions don’t. This routine is about fast-twitch and endurance so you want to have the energy to explode for every single set and not burn yourself out in the first few. Nutribomb Discount Supplements offers a wide range of health, fitness, bodybuilding, and diet information to help you meet your lifestyle goals. You can follow our latest posts at our Facebook Bodybuilding Page. Interesting workout. I have been hearing more about the benefits of explosive lifting. I will have to give these exercises a try. Thanks!